Are you living together in such a way where the words of the old song apply, “Where seldom is heard a discouraging word?” Are “discouraging words” seldom heard? How about encouraging words? A rule we made in our home, when our sons were growing up (and we still apply to this day) —is that we will always to speak to and treat each other with respect. The words we say are important. But the way in which we say them, also matters. The tone of voice and the inflection in which we speak reflects respect or disrespect. Our goal should always be to encourage, not discourage. Also, calling each other names such as, “dummy or stupid” —was/is not allowed in our home. Name-calling sends out messages that we should not be entertaining in our minds. We also shouldn’t speak them out in any way. Additionally, we didn’t allow (and still don’t) anyone to shout, “shut up.” Everyone should be allowed to have a voice, despite our differences. Even if we ultimately agree to disagree, at least everyone is given a voice. Feelings can and should be expressed. But screaming, and shouting out hateful things disrespectfully should not. We also made this rule applicable to us, and how we talked to them. This rule also applies to how we talk to each other as husband and wife. It’s not that we didn’t argue; we sure did. But we made a point not to be disrespectful about it. We then gave them permission to keep us as accountable to that rule. And we would also keep them accountable to it. We knew we had no more right to yell and scream at them than they had a right to do it to us. The Bible says to “speak the truth in love.” That doesn’t include degrading each other. You know, it’s amazing when you give your children permission to let you know when you violate a house rule, how quick they are to do so! But that’s good! (We stay that even though it was pretty irritating at times when we were angry.) We all need to be kept accountable. It’s important that we don’t abuse each other in deed or in word. When we do that we bring disgrace to the witness of Christ within us. That especially applies to how we treat each other within our marriages. After all, marriage is a symbolic picture of Christ’s love for His church—His bride. It may be difficult to be an “encourager” when things are going in a direction we don’t like. It also is difficult when your spouse is acting out in unkind ways. But think of doing it for Jesus, and it may be easier. “On a whim, when Les Parrott [who is the co-director for Relationship Development at Seattle Pacific University] was a young boy, he decided to hide the microphone for a tape recorder in the floral piece at the dining room table. Halfway through a formal meal they heard a strange clicking coming from the floral centerpiece. He wrote: ‘I pulled a microphone from the arrangement my mother had made. I triumphantly reported that I had bugged the entire table conversation between my parents and my two older brothers. They thought I was joking until I rewound the tape and began playing back what each of us had said. • WHAT IF YOUR PRIVATE ARGUMENTS WENT PUBLIC? To bring this further, if you saw Jesus standing in the room, would you say it in that way? Think about it. Will Rogers said, “Live so that you wouldn’t be ashamed to sell the family parrot to the town gossip.” But how about living in such a way that you wouldn’t be ashamed to say it to Jesus? May we always speak to each other in ways where an encouraging word, rather than a discouraging word comes out of our mouths! Even if we disagree with each other, may we continually be reminded to express ourselves in respectful ways! Over the years I have loved every post. Information given had helped me and others around me. Keep up the good work. Are your books available in Nairobi, Kenya? Thank you for your supportive words. It means a lot to us to know that what we live and what we write is making a positive difference in marriages. We thank God so much that He allows us to participate with Him in this awesome way to speak into the lives of so many throughout the world. As for our book, I know that Amazon offers them, but I’m not sure if you have that available to you. 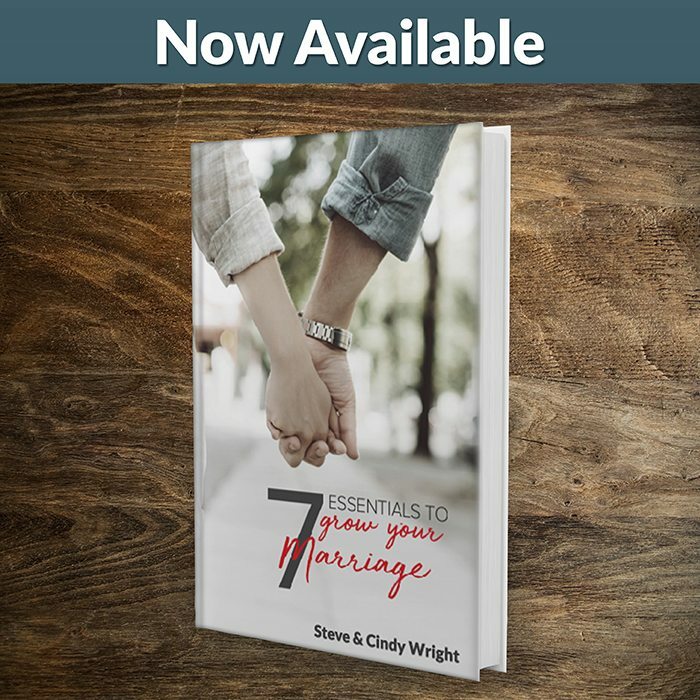 We make a digital copy available through our web site, which you can see at: https://marriagemissions.com/shop/7-essentials-to-grow-your-marriage/. But for a physical copy you’d have to get it through Amazon. They actually make the printed version available through their “store.” I hope you can obtain it… truly! May God continue to bless you! Speaking genuinely encouraging words to your spouse is a wonderful way to energize your marriage relationship. If your relationship is feeling in the doldrums… give it a try. Put a big smile on your spouse’s face with a word of encouragement. Thank you for these kind words of life changing wisdom. I definitely needed this word and I will stay mindful of what you guys said about words and the tone of voice in which I speak in. I would ask that you please keep Derald & I in prayer concerning our marriage and communication skills. Yes, we will Tammy. I also encourage you to post your prayer request on the Prayer Wall. You will have many more people praying for you that way. I also pray that you will be mindful of your words and tone of voice. It’s so very important! God bless!